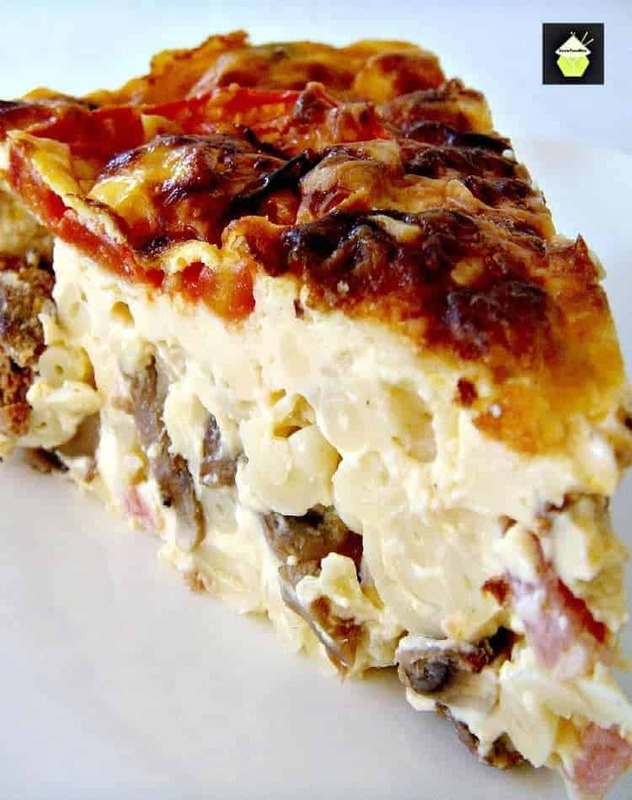 This Celebration Breakfast Casserole is a full breakfast, brunch or supper time dish, loaded with mac n cheese, baby meatballs and bacon, comfort food at its best! 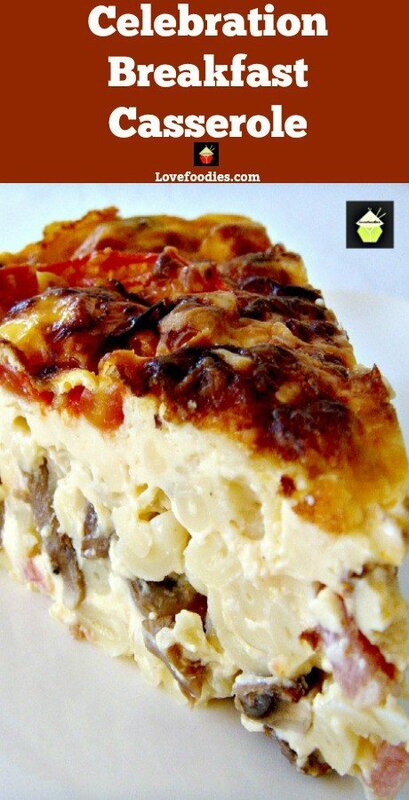 This Celebration Breakfast Casserole is certainly going to please a lot of you! 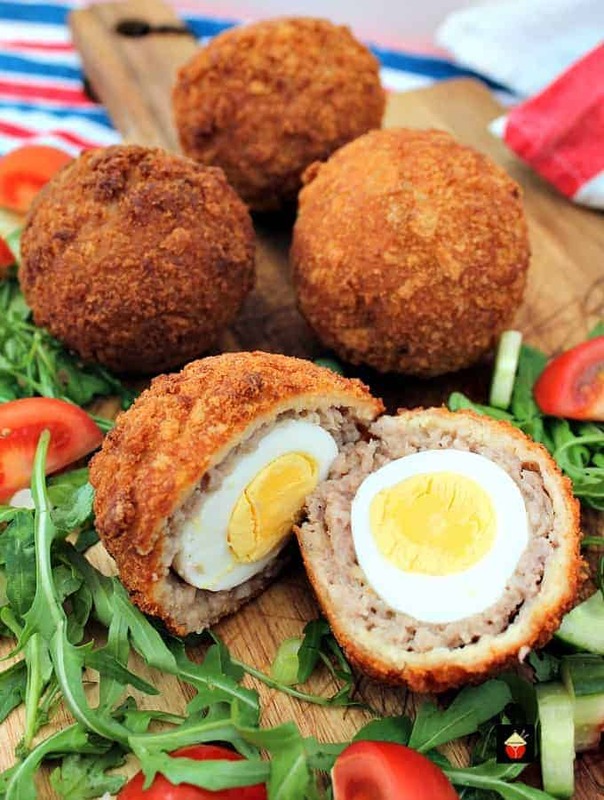 Imagine having mac and cheese, bacon, eggs and meatballs in every bite. It can’t get any tastier than this. 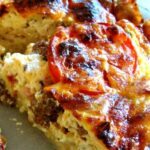 This celebration breakfast casserole is such a versatile recipe. 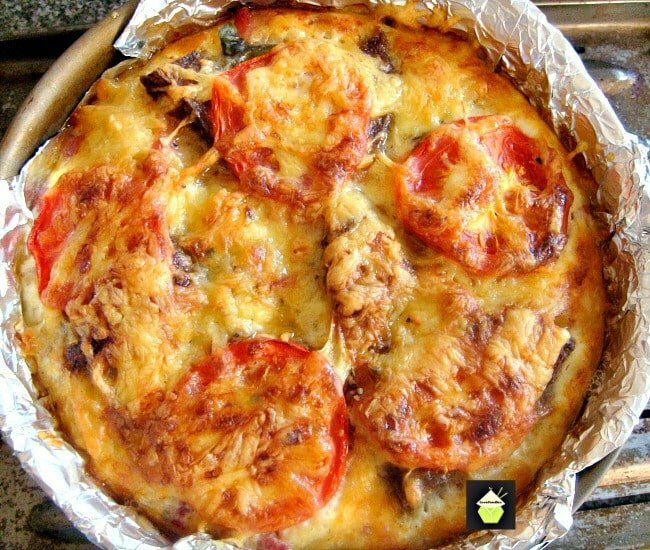 You can choose your favorite cheese, add more or less bacon, make in a large pan or muffin pans, whichever suits. For example, you could make mini celebration breakfast casseroles in a muffin pan and serve as an appetizer or as buffet food for a party. Perhaps you want to make something filling to add in lunch boxes. Maybe picnics. Anything you like! You can serve this warm from the oven or chilled. It’s delicious either way. 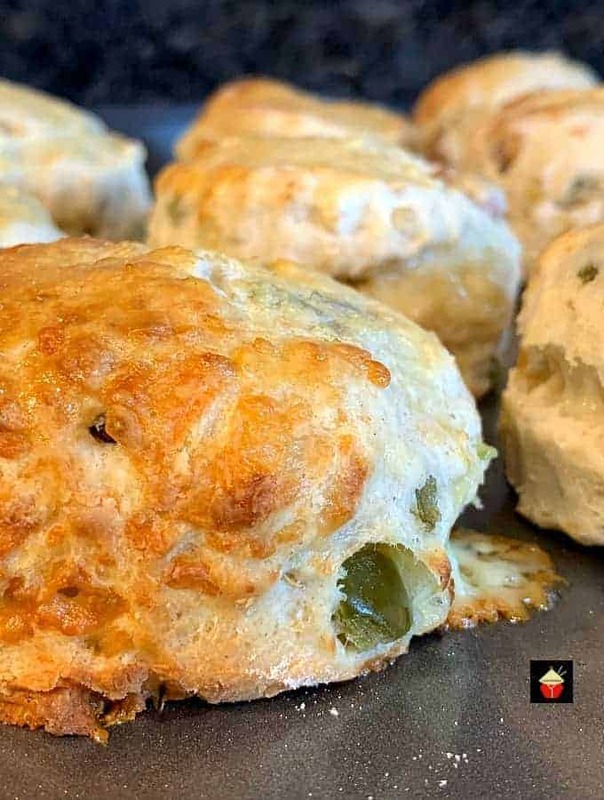 For this recipe, I’ve added all the family favorites so you have everything delicious in every single bite. I’ve added some mini pasta elbows, mini meatballs, and bacon lardons to make this truly a celebration. 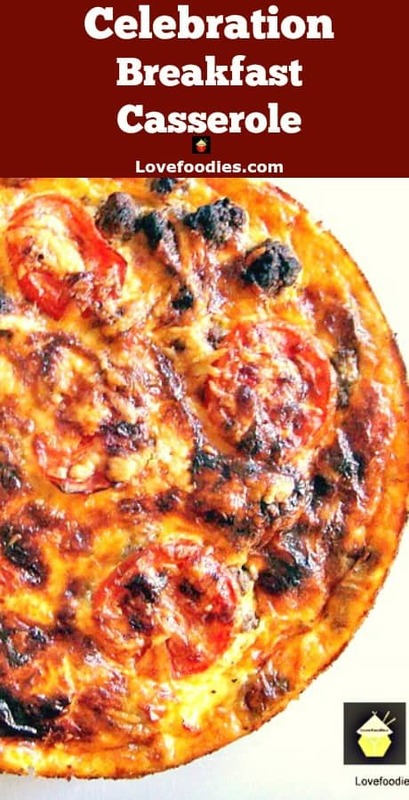 This a great recipe if you wanted to make for breakfast, brunch, supper… or indeed any time. 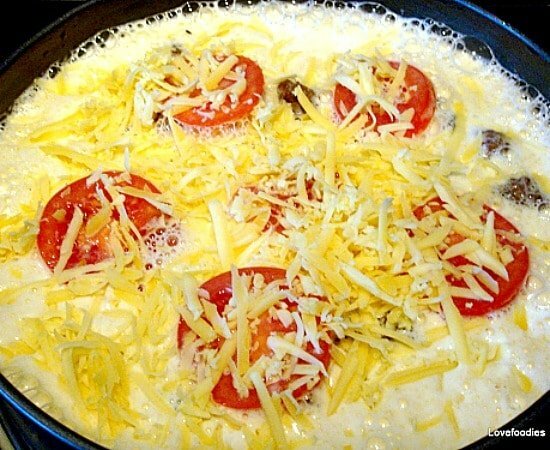 You can make ahead the night before and simply add the eggs just before you pop in the oven when you’re ready to bake. At the end of the recipe I have written several different filling suggestions for vegetable only or meat and fish ideas, so you could make a different one each week if you wanted to! 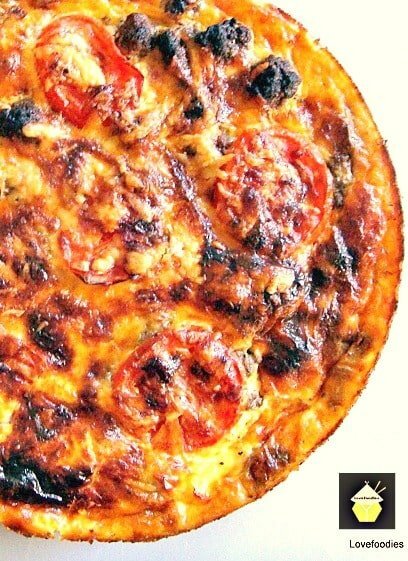 This is such a big hit with the family, great served on its own warm, or with a side salad. 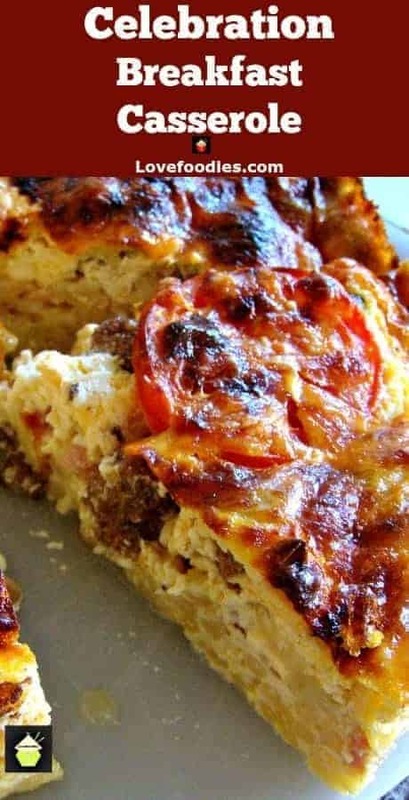 Great as a breakfast casserole too! 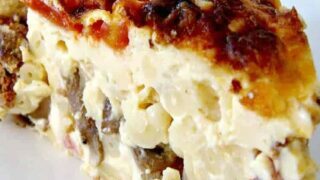 So let’s get straight to the recipe and see how we make this delicious celebration breakfast casserole. Please enjoy! You will need a springform or cake pan measuring the 10-inch diameter. Whatever pan you use, a removable base is the best so it can come out easier. 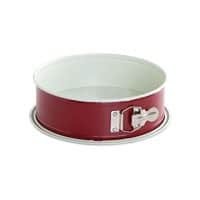 TIP: When using a Springform or pan with a removable base, to avoid the risk of leakage, please line the pan with Aluminium foil, brush the inside with oil and when baking, place the pan on a baking tray in case there is any spillage. It shouldn’t happen, but take the precaution anyway! 2. Grease your pan included the sides or line your pan with aluminum foil and the grease the inside with oil if you think there will be leaks. 3. First, prepare all the fillings. Cook the macaroni elbows HALF the cooking time of the package. Drain and set aside in a large mixing bowl. 4. In a frying pan, cook the bacon lardons, and scoop out onto kitchen paper, leaving the fat in the pan. 5. Cook off the sliced mushrooms until brown, scoop out & add to kitchen paper. Turn frying pan heat off. 6. Make the meatballs. 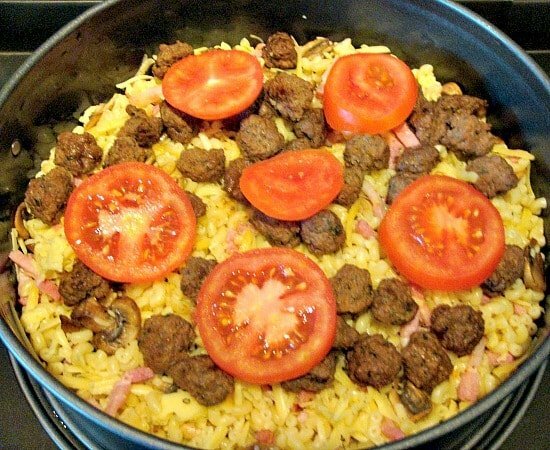 – In a bowl, place the ground beef, and all the ingredients listed above for the meatballs. Using your hand, combine it all together well. 7. 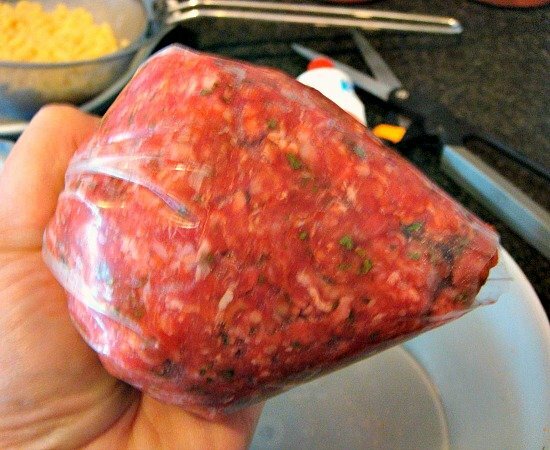 Place in a ziplock bag and cut a small hole in the corner so you can squeeze the meat through it. See photos below. 8. Squeezing a little at a time, get the meat out of the ziplock, the size of a marble and place directly in the frying pan. 9. 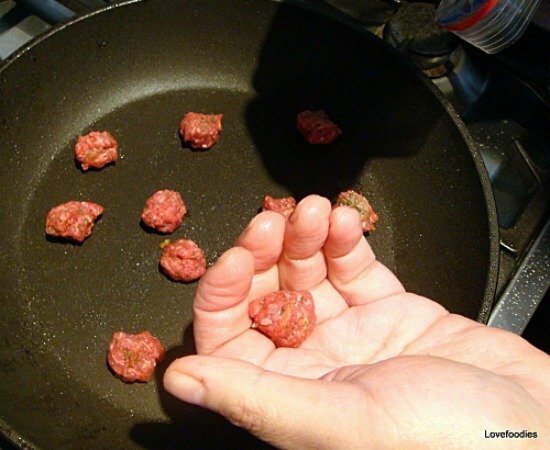 Lightly fry the meatballs until they are brown. 10. Set aside on kitchen paper to drain the fat. 11. 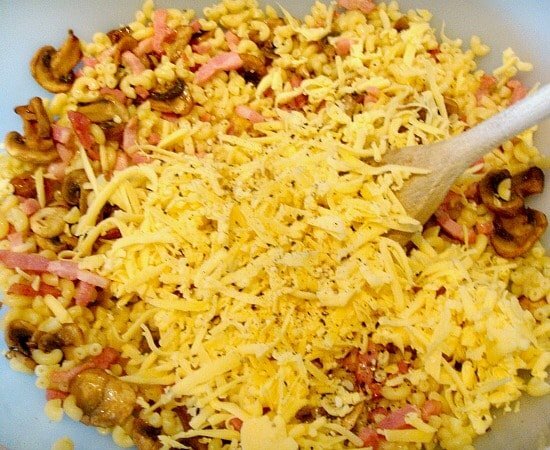 In a large mixing bowl, add the macaroni, bacon, mushrooms, grated cheese (save a little for the top), dried parsley, fresh basil leaves & season with Salt & Pepper. Mix everything together. Then place in your tin, distribute evenly. Then add the meatballs and slices of tomato. 12. Now we make the custard filling. In a deep bowl, whisk together the eggs & milk & salt & pepper lightly. 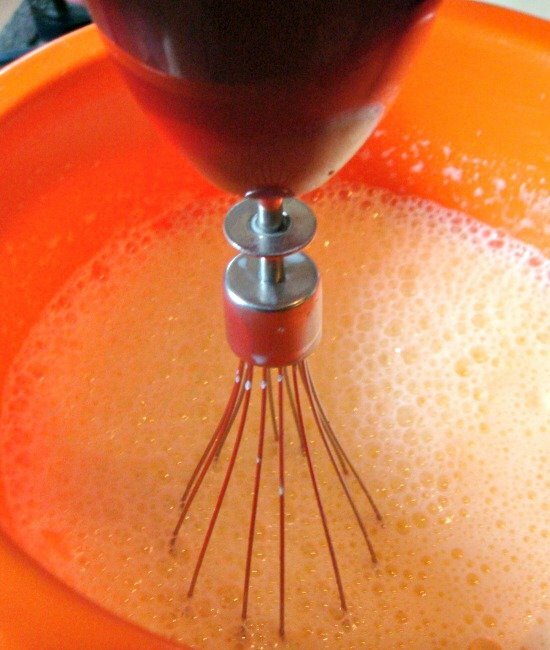 Try and get lots of bubbles in the mix as this will make the quiche lighter & fluffier. 13. Carefully pour the custard mix into the pan, sprinkle your last bit of cheese all over & place the pan on a baking tray and transport to the oven. Bake for 20 minutes at 200C, 400F, Gas 6, then turn the temperature down to 180 C, 350 F, gas 4 for a further 30 minutes or until the custard is set. When done, remove from the oven, allow to cool for 20 minutes, then place on a plate! Leftover ham, chicken etc. – shred and add to the filling. 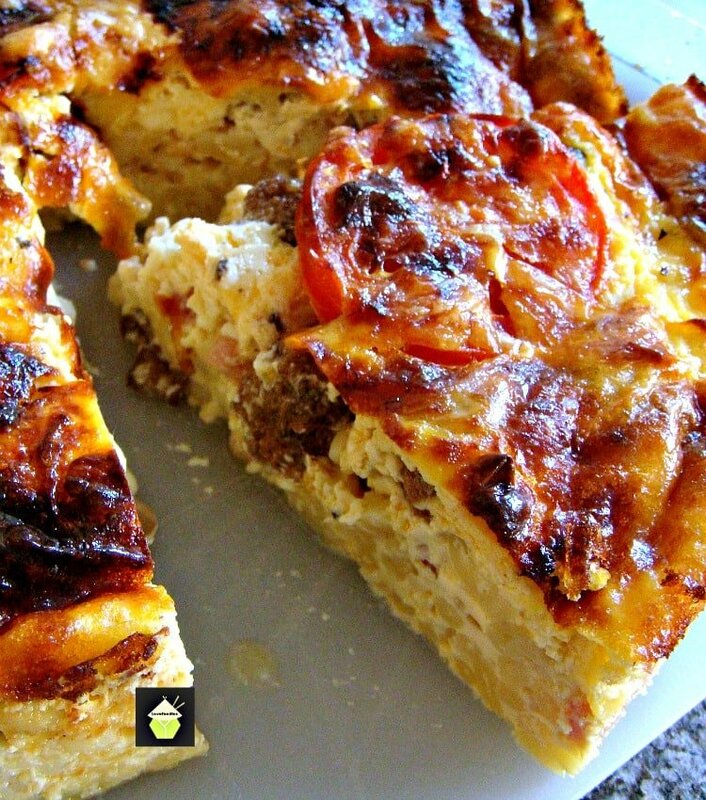 Spanish Omelette Casserole. 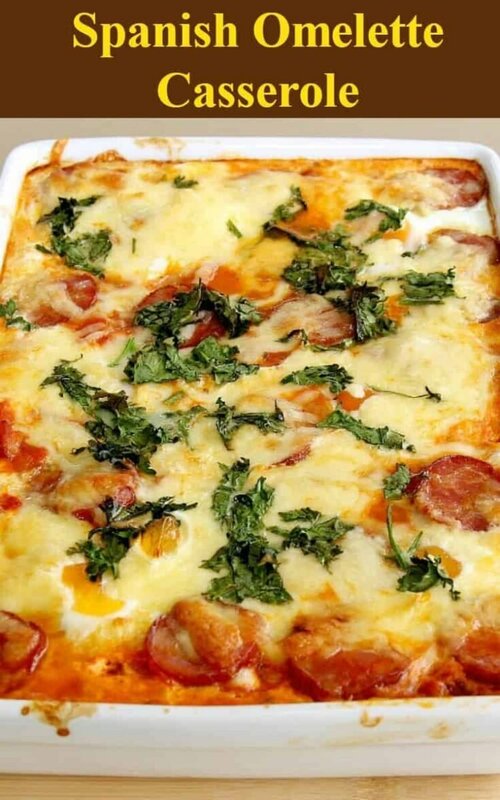 A very easy and flexible baked casserole with eggs, cheese, potatoes and sausage. 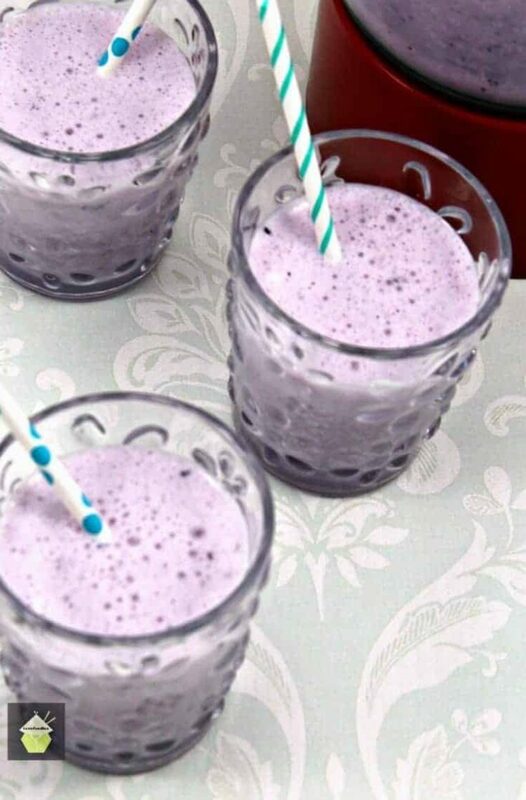 Suggestions for you to choose other ingredients to make it just how you like! Poached Eggs and Waffle Brunch! 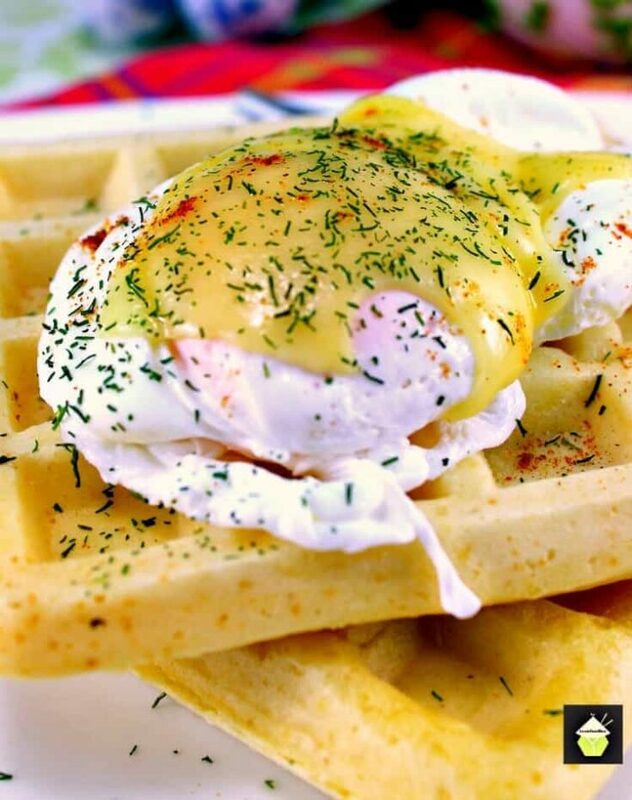 a super easy recipe for low fat waffles, poached eggs with melted cheese. Makes a nice idea for a lovely breakfast, brunch or supper. You decide! 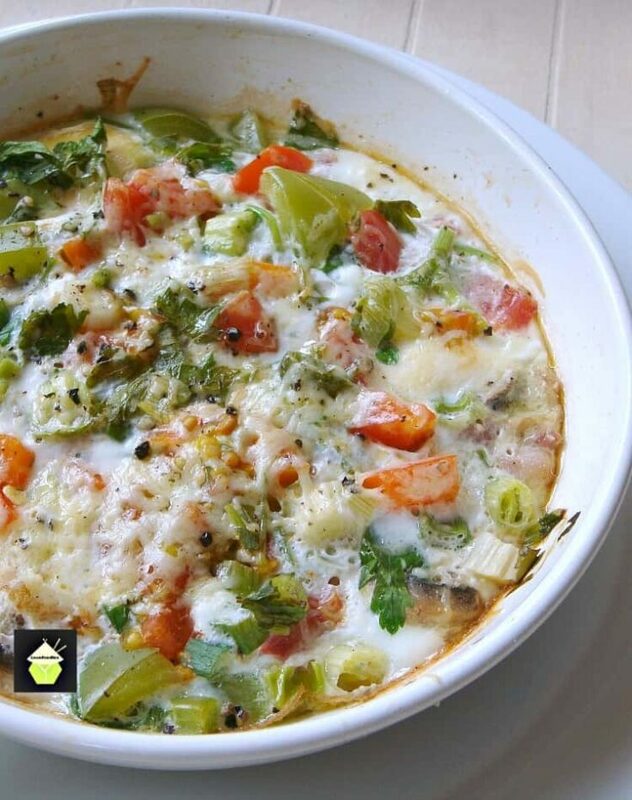 Easy Baked Brunch, a deliciously simple recipe with baked eggs, bacon, cheese and peppers. Great for a weekend! Grease your pan included the sides or line your pan with aluminuium foil and the grease the inside with oil if you think there will be leaks. First prepare all the fillings. Cook the macaroni elbows HALF the cooking time of the package. Drain and set aside in a large mixing bowl. In a frying pan, cook the bacon lardons, and scoop out onto kitchen paper, leaving the fat in the pan. Cook off the sliced mushrooms until brown, scoop out & add to kitchen paper. Turn frying pan heat off. Make the meatballs. 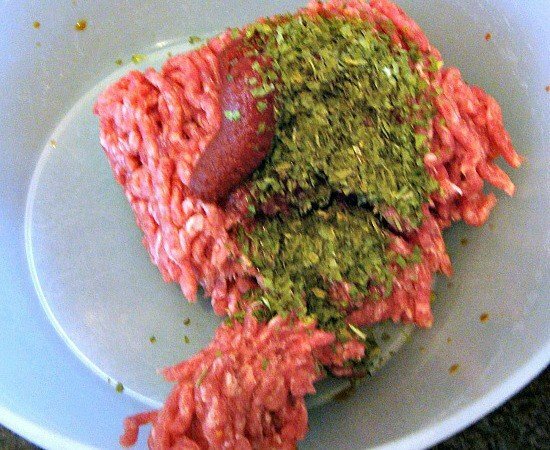 - In a bowl, place the ground beef, and all the ingredients listed above for the meatballs. Using your hand, combine it all together well. 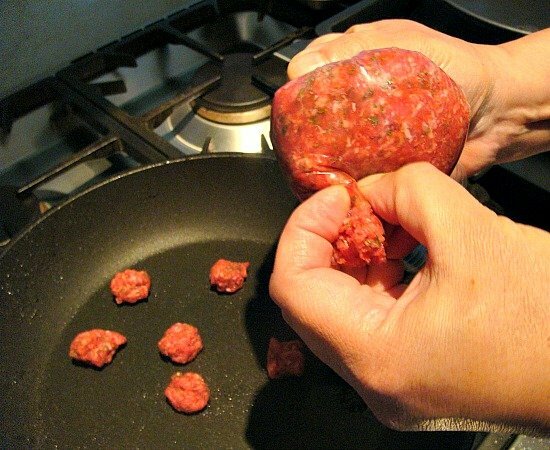 Place in a zip lock bag and cut a small hole in the corner so you can squeeze the meat through it. Squeezing a little at a time, get the meat out of the zip lock, the size of a marble and place directly in the frying pan. 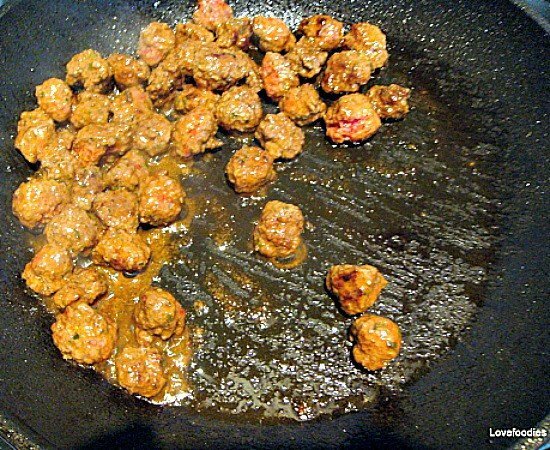 Lightly fry the meatballs until they are brown. Set aside on kitchen paper to drain the fat. In a large mixing bowl, add the macaroni, bacon, mushrooms, grated cheese (save a little for the top), dried parsley, fresh basil leaves & season with Salt & Pepper. Mix everything together. Then place in your tin, distribute evenly. Then add the meatballs and slices of tomato. Now we make the custard filling. In a deep bowl, whisk together the eggs & milk & salt & pepper lightly. Try and get lots of bubbles in the mx as this will make the quiche lighter & fluffier. 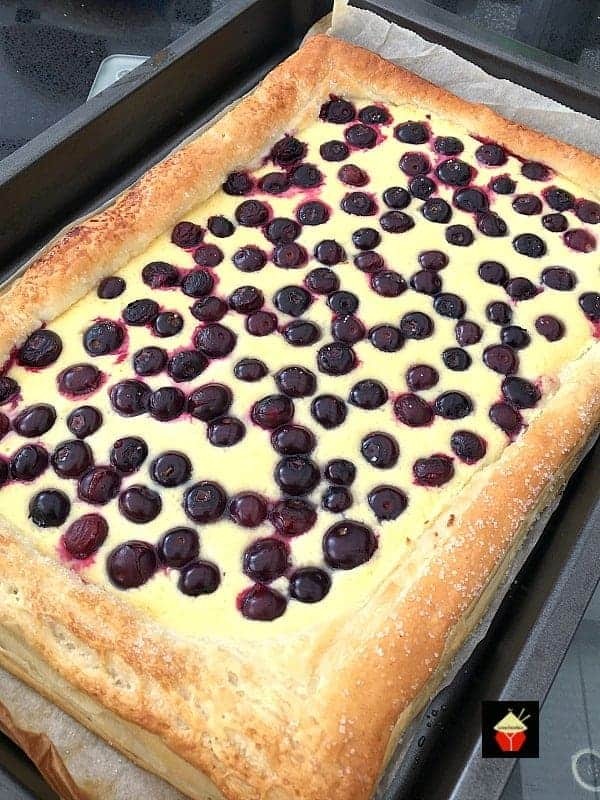 Carefully pour the custard mix to the pan, sprinkle your last bit of cheese all over & place the pan on a baking tray and transport to the oven.Bake for 20 minutes at 200C, 400F, Gas 6, then turn the temperature down to 180 C, 350 F, gas 4 for a further 30 minutes or until the custard is set.